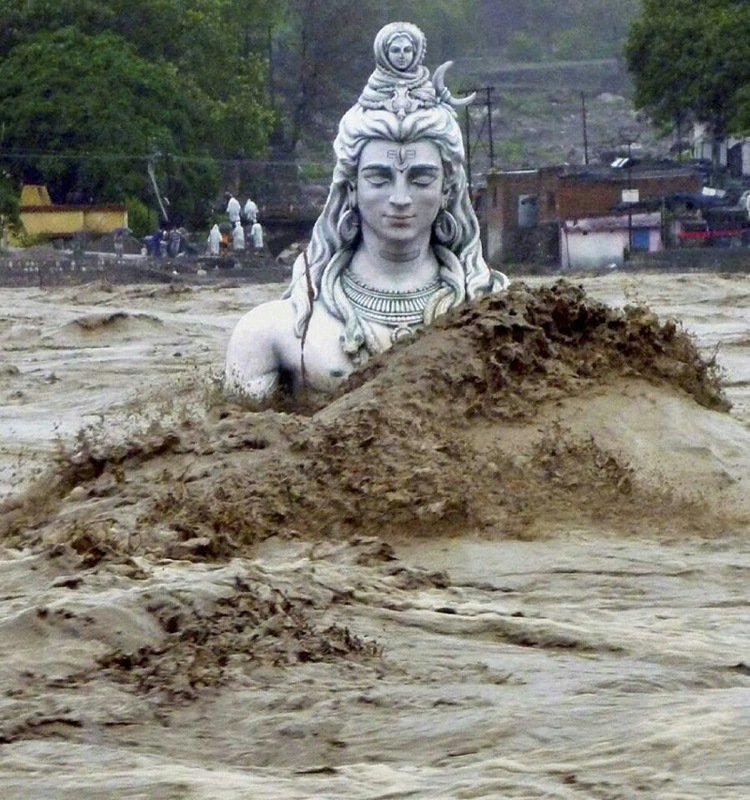 Even the fury of nature seems diminutive as the statue of Lord Shiva on the banks of river Ganga ( Ganges ) towers over the ravaging floods that devastated the towns of Rishikesh and Haridwar in the northern tip of India recently. And if He desires to be submerged, so He will be! True. Some reports say the statue was washed away while others claim that it has stood the fury of the floods.